Last month, billboards popped up around Australian capital cities, urging commuters and shoppers to “see the difference” as a panda and a kangaroo writhe in a harmonious embrace, while marsupials that look to have been penned by Guardian cartoonist First Dog On The Moon look on. Most commuters would have likely been puzzled, not just by the image, but also by the acronym. CGTN, the China Global Television Network, was only created last year as a reboot of China Central Television (CCTV) News, formerly CCTV-9. It is an English-language news service, which carries on CCTV News’ stated aim of eventually rivalling the BBC and CNN. We see what the British have done; what CNN has done for years. We need to be part of that. China is a big power; the state broadcaster is a big company. We want to be part of that dynamic. The advertising campaign, involving a half-million dollar splash on JC Cadeaux’s street furniture, spoke to that ambition. But halfway through the campaign, CGTN found itself in the headlines. The US Justice Department ordered CGTN to register as a foreign agent, under its 1938 Foreign Agents Registration Act (FARA). The question arises, should CGTN be required to register under Australia’s freshly minted foreign interference laws? The logic of the US ban implies that CGTN (and the more generously staffed Xinhua news agency) are looking to “target an audience [in the US] for the purposes of perception management or to influence US policy”. The 2017 annual report by the US-China Economic and Security Review Commission urges the Department of Justice to go further, and register all employees of CGTN and Xinhua, because “Chinese intelligence gathering and information warfare efforts are known to involve staff of Chinese state-run media organisations”. For CGTN, Australia rarely makes the news, except when leaders from the People’s Republic of China visit, or the notion that China would ever interfere in Australian politics needs to be hosed down. Would registering CGTN’s front man, former SBS journalist Greg Navarro, make Australia more secure? Probably not. The case for Xinhua is less clear-cut. So why would a state-run broadcaster spend half a million dollars, if not to buy influence? Every advertising campaign must have a target audience, right? Unfortunately, it’s not obvious who that is. To be clear, CGTN’s content isn’t pure propaganda. When I was living in Beijing in the early 2000s, CCTV-9’s coverage of the Iraq war was more reliable than CNN or even the BBC, who were grappling with embedded reporters and administrations bent on misleading the public. There was a creepy air of marvel at the power of America’s high tech weaponry, but without a dog in the fight, coverage was professional and balanced. 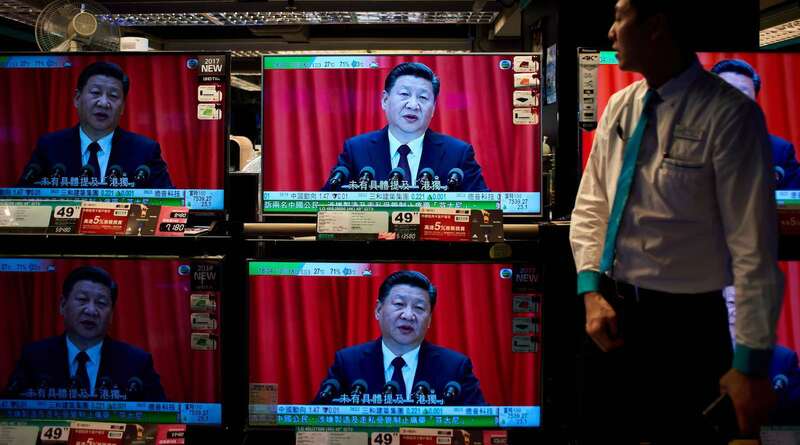 With Xi Jinping’s more assertive foreign policy, China now has a dog in most fights. The goal of the rebooted CGTN, in the words of Xi Jinping at its launch on 31 December 2016, is to “tell China stories well”. Unfortunately, within a minute of the channel going to air, viewers are bathed in sphinx-like quotes from the president, such as “China needs to better understand the world, and the world needs to better understand China”. In Chinese media-speak, news content across all platforms is now produced in a central kitchen (chufang). Despite aspirations to tell a good story, in China’s current political climate the chefs are producing bland fare. Our family has Fetch TV’s Great Wall package, which includes CGTN, but even if there were a panda embracing a kangaroo on every corner, I’d never think to tune in. Every other channel in the package is more interesting. For non-Chinese speakers, who get CGTN as part of Fetch TV’s Knowledge Pack, it’s even less clear why you’d choose CGTN over BBC World, Bloomberg, or Al Jazeera. In his recent speech warning of Chinese influence in the US, Vice President Pence claimed that CGTN reached “more than 75 million Americans”, but that number – which came from CGTN’s promotion material – is doubtful at best. I’m inclined to side with James Palmer, who argues that China’s overseas propaganda efforts are more for the benefit of the bosses back in Beijing, rather than overseas audiences. Footage shows Kong hitting Hong Kong born Enoch Lieu, after berating “traitors” and “fake Chinese”. Police eventually take her away. In response, CGTN stated: “In a country that boasts freedom of speech, it is puzzling that the Chinese journalist should encounter obstruction in such a way.” Comments on China’s microblogging platform, Weibo, overwhelmingly praised the journalist. If this behaviour sounds similar to a Chinese delegate storming out at the Pacific Islands Forum in Nauru, or shouting down Australia’s foreign minister because of a Taiwanese delegation at the Kimberley Process meeting in Perth, its because the logic is the same. It plays terribly in the host country, but the party bosses see a display of strength and patriotism, a defence of China’s sovereignty. But like CGTN, it’s not immediately clear why anyone outside of China would want to watch it. China aims to cut Taiwan off from Japan, as well as backing from the Vatican, to ensure the island is out in the cold.